Creating a unique device for diseases treatment, the scientist Alexander Mishin thought of the energy processes inside of a person. It has the form of a spiral. For example, the blood moves in the veins in this way, and not directly. The scientist found that most human diseases occur as a result of violations of these "twisting" processes. Cells no longer work normally, which leads to a sharp decrease in immunity. Molecules are not susceptible to the action of drugs, as a result of which various diseases appear. During scientific research, Mishin developed his theory of the functioning of a human cell based on the spiral movement of energy. The scientist was able to prove that, by restoring the disturbed processes, one can achieve a quick recovery. 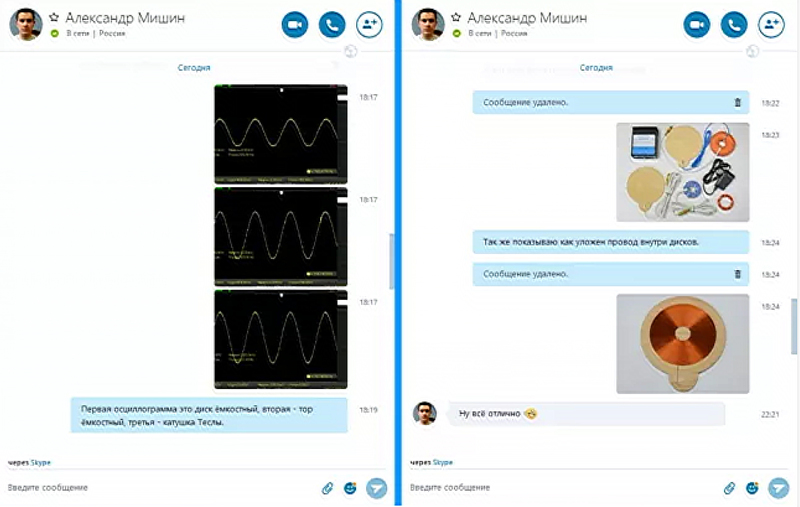 Mishin proved that after the entry of static energy into the tissue structure under the influence of electric currents, the density of molecules is disturbed. As a result the diseased cells begin to weaken and gradually die. On the basis of these physical laws, Alexander Mishin created the electromagnetic coil, relying on Nikola Tesla's great experience. It can be used by any area of ​​medicine. Our device is approved by inventor Alexandr Mishin and buying the device from us you get a 100% working device that will keep you healthy for many years to come. In the picture you can see our correspondence with Alexandr Mishin about our device and his approval ("ну все отлично" means "everything is excellent"). The device consists of a power supply unit, a generator, a DMA disk, an indicator ring. The oscillator generates oscillations of the desired frequency to make the DMA disk work. Frequency tuning is performed by the manufacturer for a specific DMA. Therefore, the permutation of the DMA to another oscillator does not give rise to an electrostatic field due to a different tuning. Do not short-circuit the output terminals of the generator - this may damage cause it. 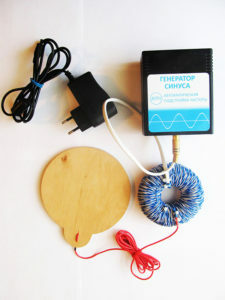 The complete set includes a large and a small coil, each with its own generator and power supply. The large coil is tuned to a frequency of 300-320 kHz., small - at 1 MHz (1000 kHz). Large DMA better affects the organs and entire systems of the body (nervous, circulatory, lymphatic). A small disk is designed to destroy fungi, viruses and to soften tumors, acts more locally, at the level of tissues and cells. The small coil is similar to the torus, (TMA) but about 5 times stronger. 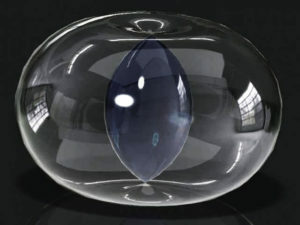 It has a higher field density to affect point objects. Look at the complete set of Mishin coil to buy. 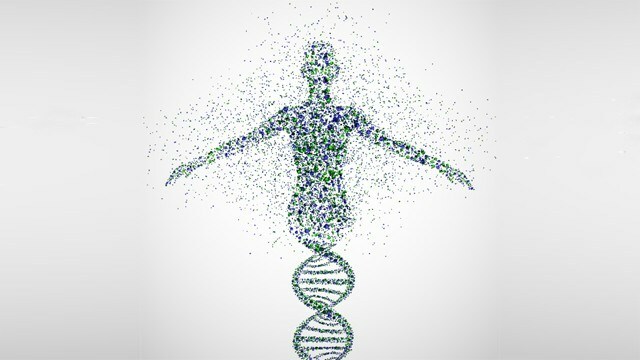 According to A. Mishin, cancer cells have DNA closed in a ring, while the DNA of a healthy cell is an open spiral. Mishin's guess is confirmed in the work of B.P. Koptin "Genetic catastrophe" on page 97 of the book "Carcinogenesis" edited by Zaridze (head of the Russian Oncology Center). Similarly, closed RNA and DNA have viruses and fungi. Closed structures under the action of the electrostatic field begin to heat up and collapse. It leads either to the prevention of damage to "half-healthy" cells or to the death of cancer cells and harmful structures. 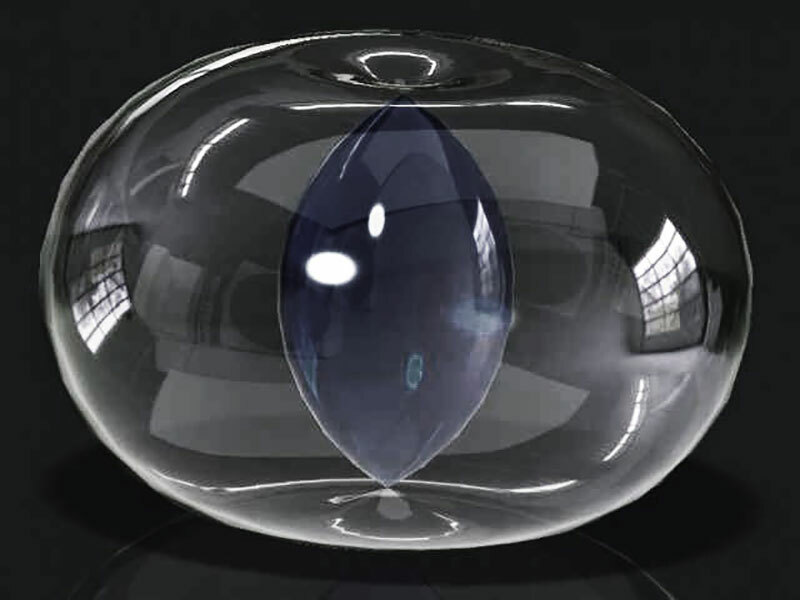 At the same time, a healthy cell is not only transparent for such radiations but also is their conductor. Radiation for it is neutral or useful. Therefore, because of the transfer of energy through healthy cells, the coil's effect on one place can cause a "response" - sensations in another remote place. A healthy person does not feel the effect of DMA of Mishin coil device. The first session or after a very long break, it is recommended not to take more than 15 minutes session with Mishin coil. It is possible that in an organism that has not undergone cleansing, processes can start to remove toxins and slags that are in a "suspended" state. It can give a state of toxicosis. Also, the general treatment of DMA is recommended to start with a system of blood and lymph filtration (from the kidneys, liver, spleen). So we recommend, for the first session, to put DMA just above the sacrum to activate the kidneys. The following sessions are recommended to be performed on the projection of the liver, intestines, to enhance their work. If there is no reaction of the body, the duration of the session can be increased to an hour, but only after the first week of the Mishin coil usage. If your device is equipped with a switch of the sinus (0) - meander (1) generator mode, remember that meander mode is not natural for natural formations. It is only used to solve severe problems - rapid elimination of viruses, fungi, cancer cells. Its long-term use (more than 15 minutes per session) may be harmful to healthy cells. In this case, the session should be built like this - 15 minutes of meander impact, switch and continue to an hour by sinus. Also, when using Mishin coil, it is advisable to clean the intestines (small starvation, vegetable, fruit-free days). Those procedures that are familiar and well suited to the patient. This helps to stimulate and facilitate the excretory system of the body. Make the use of the device regular, even if it seems that its effects are not felt. Remember the big changes have to be accumulated and fixed. This is especially important in the fight against fungi. They are able to decrease to invisibility and actively fight for their existence when the effect is discontinued and there is such an opportunity. Most patients do not feel the effect of the coil. Some feel slight cooling, heating, increased microcirculation. It is also possible to feel relaxation and peace. From deferred effects, the appearance of mild symptoms of former diseases can be cited. It indicates the activation of the healing processes of this particular ailment, and the organism itself. In 20% of patients, the first session can cause 1-2 signs of excretion of "wastes", a small toxicosis, which confirms the cleansing of the body of toxins accumulated over many years. The term "side effect" is not suitable for describing the processes going on in the body without and with the support of DMA. This is an increase in the purifying mechanisms of the body itself. It is this main effect of the coil to cleanse the body the level of cellular structures and individual cells, and also, the dissolution and "separation" of closed slag conglomerates. 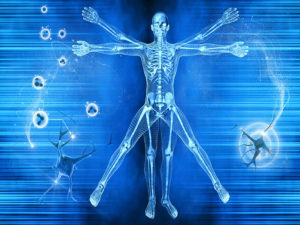 There is a withdrawal of chemical compounds that do not participate in the metabolism and are simply found in the body. Acute inflammations are cured surprisingly quickly, which puts DMA on first place among anti-inflammatory drugs. The duration of the inflammatory process is usually 3 to 4 times shorter than that of the same person in the usual treatment with Mishin coil. In a number of cases, recovery was 5 to 10 times faster, 1 day instead of 10 days. The removal of edema and pain almost immediately after the start of treatment is an important advantage. The analgesic effect of the coil is so great that even a toothache is removed by it. Treatment of chronic diseases is slower. Moreover, the positive effect of DMA was observed in all types of pathologies, even mental ones. Attention! Large joints and the human spinal column actively absorb implosion - they need more energy. Thus, the treatment of tissue located next to the massive joint also requires a longer time, as well as for the recovery of the joints and spine themselves. Experience shows that this requires from two weeks to a month or two. While on small bones (on the fingers), arthritis is treated quickly (one week) and is noticeable, as pain immediately goes away. DMA was created to treat cancer, based on the presence of looped elements in the cells of any neoplasms. Ringed are also RNA viruses, DNA fungi. This feature allows these cells to accumulate more energy, in comparison with neighboring ones, and to win in a competitive struggle. Increased energy of these harmful structures determines their resistance to any external influences, makes them almost invulnerable. 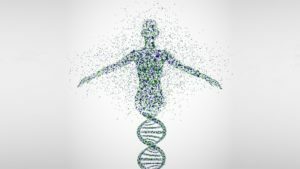 Ordinary cells of our body normally have unfolded DNA and interact with each other, exchange energy, live together without disconnecting, without separation. When exposed to implosion, cells transmit excess energy to neighboring cells. Vortex treatment only strengthens the overall energy of the cellular community and strengthens their connections. This determines the selective effect of the device only on pathogenic formations. It is the ring-shaped structures that experience the voltage in the electrostatic field. And somehow "burn out like nodules on wires" according to the inventor himself. All fungi, viruses, own mutated cells are destroyed. Cancerous tumors are destroyed with the formation of many dead cells, which are partially processed by the body, partially excreted, for which it is strongly recommended that cancer treatment is accompanied by detoxification procedures. As it is better to do the recommendations of doctors - naturopaths and phytotherapists taken from available sources will prompt. The disk of Misha Alexander perfectly copes with such problems. The field of the coil appreciably improves microcirculation, namely at the first stage of treatment, where it is necessary, where there is a stagnation of blood. According to A. Mishin himself, within six months all his patients, who suffered from such disorders, got rid of them. From our experience, it is known that the pain in the heart and headaches are relatively fast treated. The vascular network and prominent veins on the legs decrease. The pressure is normalized. During treatment, make sure that there are no large metal objects near the coil (30-50 cm. ), since the metal absorbs implosion (field). And the therapeutic effect of the device on the body is reduced. We recommend removing the wristwatch, strap with a buckle, and excluding the patient from finding a metal bed or other similar furniture. Small buttons, jewelry does not play a significant role. When using DMA with a generator equipped with a sine-meander switch, do not forget to pay attention to its position. Remember, this disk is only a tool; treatment is not a simple process for which you need to take responsibility for yourself, without shifting it to others!